Gym Management Software in Cambodia From Epenh ICT Company in Phnom Penh. Epenh is an #ICT Company based in Phnom Penh, #Cambodia providing GymMaster Software to fit clubs of all sizes, this gym software is featured packed. With a full booking system for class & trainers, Point of Sale, Website Integration, a mobile app for staff & members, online booking for clients and 24/7 door access control. POS System For Restaurant, Shops etc from Epenh, Phnom Penh, Cambodia. POS System from Cambodia. 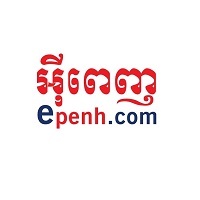 Epenh is an ICT Company based in Phnom Penh, Cambodia.